Junk360 is a veteran owned and operated Twin Cities based company that specializes in residential and commercial junk removal. 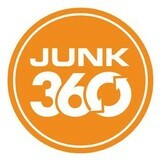 Junk360 will pick up, remove, haul away, and recycle almost anything you can fit in our trucks. Just point to the items you need removed and watch us carry it out, load it in our trucks to haul away, and sweep up for you so that everything is as fresh and clean as a new space. We can help with just one item or an office/home full of unwanted junk. Junk360 also specializes in estate and home clearance. And at the end of the day, we ensure that everything that can be repurposed is donated, recycled or reused to ensure we reduce our impact on local landfills. All Day Haul Away is the World’s greatest junk removal company. We provide junk removal services in the Minneapolis, St. Paul, and surrounding suburbs. 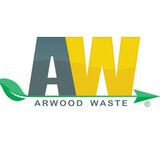 We are one of the only companies that offers responsible Green junk removal in the areas that we serve. Our commitment to professionalism and responsible pricing has earned All Day Haul Away a reputation as the world’s best junk removal company. We recycle 95% percent of the junk we pick up, which adds up to less waste in our landfills. We also donate hundreds of items, each week, to charitable organizations such as, Goodwill, Salvation Army, Arc, and Bridging. EK Movers and Disposal, LLC is a professional moving company. We are staffed with trained residential moving and commercial movers who understand how to pack up your home or business with care. You need not worry about the welfare of your precious belongings when it’s in the hands of our reliable residential and commercial moving service. We provide you with our experience in desk, shelves and other furniture delivery into your new property. You don’t pay and expect your employees to help you with the moving process. Our moving labor services can get the job done in no time. Your goods will be packed safely, loaded and secured in a truck. They will be safely transported to your new property. We have a strong reputation for providing safe and reliable moving and packing services for our clients. Entrust your moving with us and rest assured of a speedy and precise moving and storage process. In addition to moving services, we also do junk removal and snow removal. Kaba Junk Removers based in Minnesota, is your friendly neighborhood trash and Junk removal company; serving major cities like Brooklyn Center, Brooklyn Park, Minneapolis and Minnetonka. We are a full-service junk and trash Removal Company. Utilizing over five years of our experience we pledge to give you the best service in this area, be it for commercial trash removal in Minnetonka or trash removal in Minnetonka, we do it all. Aspen Waste Systems provides a wide variety of waste collection and recycling services to residential and commercial customers. Our services are characterized by four themes that govern what we do and how we do it. Extraordinary service. We are committed to providing superior service to all of our customers large or small. You’ll experience that commitment from the moment you call us: a real person answers the phone, answers questions and solves problems. Our attention to service detail applies equally to a one-person household or a multinational corporation. Environment-friendly disposal. 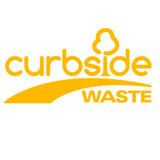 We dispose of all waste in the most environment friendly methods available in each area we serve. 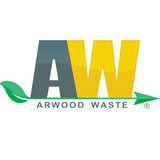 We focus on your needs, not maintaining a landfill. Independently owned; locally managed. Aspen is owned and operated by people who live here. Decisions are made locally and we reinvest in your communities. Clean collection. Garbage collection and disposal is a necessity in our society, but it doesn’t have to be unsightly. We meticulously maintain our equipment and your collection site to enhance the livability of your surroundings. Our drivers are neat, clean and helpful. Minneapolis Snow Plow - the Best Snow Removal Services CompanyAt Minneapolis Snow Plow, we are devoted to giving every one of our customers with round the clock prompt as well as well rounded, snow removal services. Our snow elimination fleets work 24/7 to ensure your home or business doesn't bog down when snow piles up. Well-trained and properly equipped, our fleet combats even the most treacherous snow and ice conditions, and also effective at reducing weather interruptions to everyday activities. Readily available services consist of snow plowing, pathway shoveling, snow removal, as well as de-icing (rock salt as well as numerous Ice Melt products), snow relocation as well as snow excavation. From streets and driveways to pathways and walkways, you can trust our snow removal service here in Minneapolis to make sure surfaces are free from snow, ice, sleet and hail. You Call, and we'll do it all! We are a licensed and insured family owned company. We as a family, have a wide field of professional trades. We take pride in our quality and experience, the satisfaction of pleasing our customers, and our affordable & unbeatable prices. Suburban Waste Services is a local, hometown garbage hauler owned and operated by Eden Prairie residents Paul & Katie Rosland along with partner Rick Sievers. Junk Genius of the Twin Cities is owned and operated by Mike Reimann. We're committed to the absolute best junk removal experience possible each and every time we schedule an appointment with a customer. Our services cover the entire Twin Cities, ranging from standard clean ups and removals to construction space clean outs. We're excited at the opportunity to clean your space, call (612)363-4401 to schedule an appointment today. There are full-service junk removal companies in Crystal, MN that help with everything from clutter and hoarding cleanups to appliance recycling to donating unwanted items. Keep in mind that you may need professional help removing certain items from your home, particularly if they’re toxic or unstable. Here are some related professionals and vendors to complement the work of junk removal: Tree Services, Environmental Services & Restoration, General Contractors, Home Builders, Landscape Contractors. Find rubbish removal professionals on Houzz. Narrow your search by city or zip code for a list of Crystal, MN rubbish removal services. Get contact information so you can ask about rates, and read customer reviews to find the best rubbish and trash removal service for your home improvement project.